Follow the trail to the high seas! Take to the high seas and discover a world of marauding, piracy, and most importantly: treasure. Learn about the voyages, flags, and bases of pillaging pirates alongside some of the most fearsome captains that have sailed the Seven Seas! 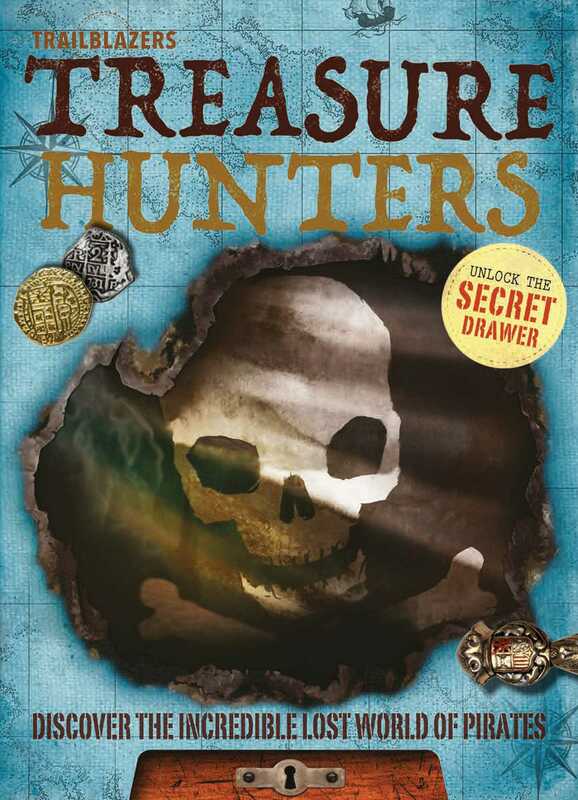 As young scallywags read about what the pirates ate on board, coded treasure maps, and daring escapes, they can search for a hidden button in the book to open a secret drawer! What's inside? That's for the treasure hunter to find!